Recovering from the shrapnel left by the huge Warner Bros. bomb Jupiter Ascending, Eddie Redmayne went onto win a Best Actor Oscar for his portray of Stephen Hawking in The Theory of Everything this past weekend. He will follow-up that award-winning turn with another true-life take on an important moment in history. 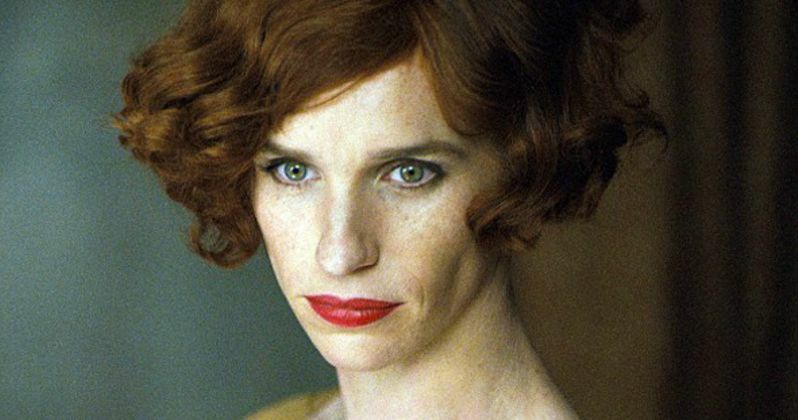 And now, we have our first look at the leading man as he becomes a woman for The Danish Girl. "We're looking at everything from a feminine perspective. I think it's the most sensitive role I have played. The danger of surgery was so extreme then. It's such a brave thing that Einar did."